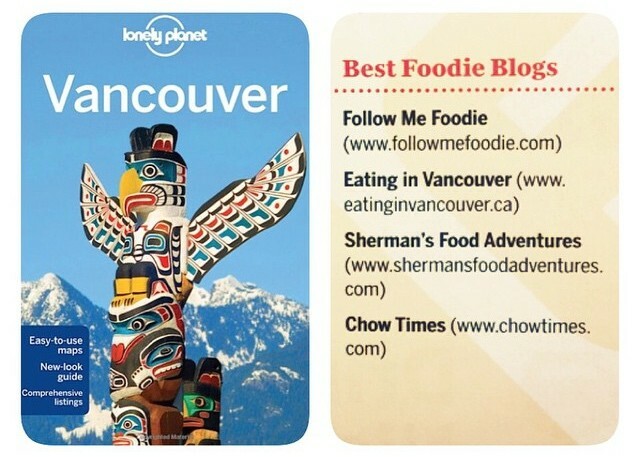 Lonely Planet, the largest travel guide book publisher in the world, named Eating in Vancouver one of the Best Foodie Blogs! That’s right, the 6th edition of the Vancouver travel guide book 2014 has us listed on page 29, along with three other acclaimed sites. Congrats to our fellow bloggers, Follow Me Foodie, Sherman’s Food Adventures, and Chow Times.